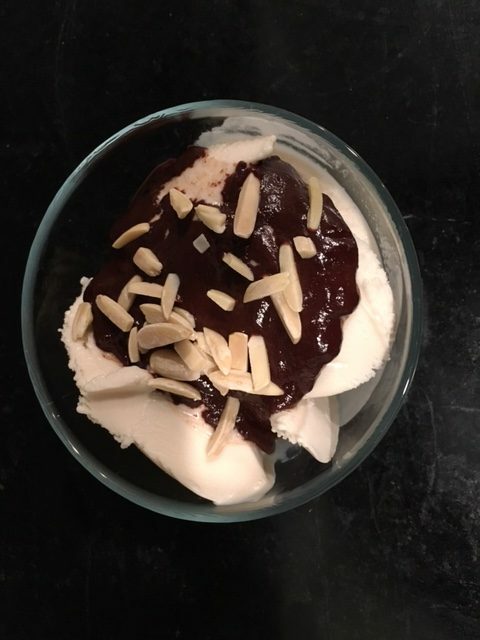 30-Second Hot Fudge Sauce - Vegans Eat What? Vegans Eat What? This is an incredibly simple and fast recipe for hot fudge to pour over your favorite vegan ice "cream"! You can use unsweetened plant-based milk in this recipe to make a slightly less sweet fudge that is also delightful with ice "cream". You can also try stirring it less if you prefer a thinner sauce with tiny chunks of chocolate.